The State of Smart Cities in Southeast Asia – Where do Indonesian cities stand? Cities are ever changing - it depends a lot on the dynamic of the social interactions we've built throughout history. It is not hard to see that technology has been playing a critical role in shaping this dynamic that pushes cities to evolve. From the first human settlement around 40,000 years ago in Europe to the first industrial revolution in the 18th century in Britain to today, technological breakthroughs have led to a paradigm shift in our lives. It has impacted the way we build our houses and buildings, the way we get around and transport goods from one place to another, the way we live, work, and play in the urban space. And the central theme around which smarter cities are built around:- the Internet of Things (IoT). IoT has the ability to enable every consumer product and every piece of infrastructure to sense their surroundings, be connected to each other and to the data storage facility where data will be processed using various tools and communicated to people. More connected things → more data points generated → more insights derived → better decisions. 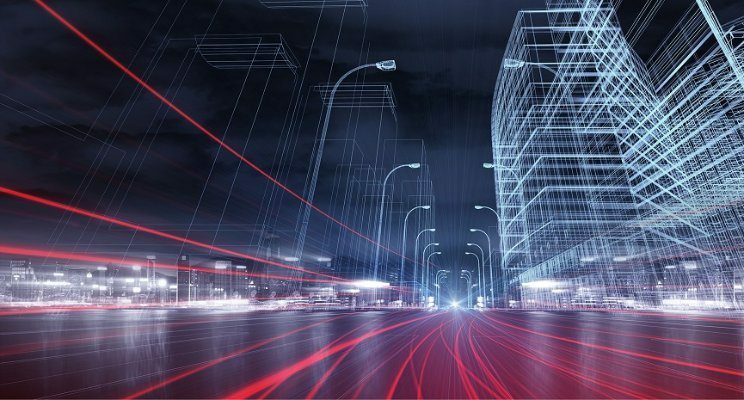 Smart cities are utilising the same technology to connect their infrastructure assets and to gather relevant data and analyse them to provide valuable insights. Based on these insights, suitable policies and management systems will be driven accordingly. Many cities around the globe have been pursuing the notion of this smart city, from the US, Europe to Asia. Different cities will have slightly different definitions from each other, but the bottom-line is generally the same: to drive efficiency and provide better services to its citizens. Some international case studies that have been shared last year during our activities in Southeast Asia would be the development of smart cities in UAE by du, Germany by Deutsche Telekom, and Ireland by Smart Dublin. The smart city idea has been a very popular topic in Southeast Asia for the past few years. It is very encouraging to see that many countries and cities are exploring the technology solutions that they deem can help them with their transformation journey. It is no surprise to see Singapore as the leading country in the region for smart city initiative, as in terms of infrastructure, internet services, and penetration, Singapore is by far the most advanced country in Southeast Asia. The government of Singapore has been actively pushing for smart city development through her Smart Nation Programme which has been launched since 2014. According to PwC, Malaysia is just right behind Singapore in terms of technological readiness. Malaysia has been active in promoting smart city too. Cyberjaya is a good case in point. Cyberview, the tech hub enabler of Cyberjaya, has signed MoU with our partner to position Cyberjaya as the first smart city in Southeast Asia connected with a city-wide LoRa network. The Malaysian government has published the roadmap, National Transformation 2050, to push Malaysia into the digital economy, and Cyberjaya will be one of the main focal points in realising those goals. Further, the government has pledged RM100 million (~USD25.5 million) to be disbursed by Cyberview over the next 10 years, starting from 2018, for smart cities related projects driven either by local partners or foreign partners. Developing countries such as Thailand, the Philippines, and Vietnam are joining the bandwagon too. Thailand has rolled out several smart city initiatives with Phuket set to be a smart city in Thailand according to Digital Economy Promotion Agency (DEPA). Some of the projects which are underway in Phuket include smart transportation systems, smart surveillance systems, and a big data operation center. USD13 million has been invested in the current project and USD30 million more has been requested to expand the digital transformation projects. In the Philippines, the Clark Green City (CGC) project has attracted much attention. Bases Conversion and Development Authority (BCDA), the organisation which works directly under President Duterte, is in charge to develop the CGC which encompasses 9,450 ha of land. The CEO shared his plans to make CGC the smart city model of the country by building a best-in-class ICT infrastructure, envisioning it to be on par with other modern cities in Asia such as Singapore, Incheon, and Songdo. Other projects that should be on the lookout would be the Mega Cebu Programme, a provincial level program to modernise Metro Cebu assisted by Japan International Cooperation Agency (JICA). In Vietnam, Ho Chi Minh City (HCMC) is the first thing that comes to our mind when talking about smart city initiatives. HCMC has piloted a lot of projects such as the successful implementation smart city communication platform, which is mainly used for energy management system for the city. However, many other cities have also started coming up with their smart city initiatives. Some notable ones would be Danang and Hanoi, and the smaller cities would be Kien Giang, Can Tho, and Binh Duong. The government in Indonesia is very aggressive in pushing for smart city initiatives. In 2017, 25 cities have been selected to embark on transformation projects and 75 more cities are expected to follow suit very soon according to the Ministry of Communication and Information Technology (MCIT). Jakarta is one of the cities spearheading the national initiatives with her Jakarta Smart City program. Over the past few years, ICT solutions have been launched to support the initiative and transform Jakarta into a more transparent and livable city. An application developed by Qlue is used to receive and process complaints from the public as well as to monitor the works of the civil servants. Smart surveillance, smart lighting, and the Jakarta One Card have also been launched to complement the application. Bandung and Makassar have also developed command centers to monitor the city and gather relevant data to drive efficiency. The government, along with academia and other stakeholders, has also recently come up with a rating system to map out the development of smart cities in Indonesia. According to the MCIT, the smart city initiatives will be driven by other ministries as well and they are now planning to come up with a master plan for the initiative. Seeing the opportunities in this space, the private sector in Indonesia is also exploring smart city initiatives. Private developers have been in a race to brand their new real estate projects as smart cities. ICT infrastructure and solutions have now become an important aspect to be considered by these developers in developing their projects. Smart surveillance, smart lighting, smart transportation system and command centers are being explored and implemented by larger local developers such as Lippo Karawaci and Sinar Mas Land. From our conversations with both the government and private developers in Indonesia, they stressed the importance of international exposure as well as international partners to assist them with the smart city development in Indonesia. The solution providers in Indonesia are still learning and exploring the relevant technologies and looking for more partners as well to complement their offerings.